Brooks A. Jones, who holds a Ph.D. in chemistry, is a Technical Advisor at Rakoczy Molino Mazzochi Siwik LLP. Dr. Jones’ background in materials and analytical chemistry, including solid-state analysis and a variety of spectroscopic techniques, allows him to make valuable contributions to many of the firm’s projects. He, for example, assists with preparation of opinions in the pharmaceutical, chemical, and related fields. He also provides technical litigation support in a wide range of cases, including Hatch-Waxman pharmaceutical cases. Dr. Jones has considerable experience in scientific literature research and analysis, and he frequently performs searches for relevant art in the chemical, biological, and medical fields. He has extensive experience with several search platforms including STN and Thomson Innovation. Dr. Jones conducts both specific and general chemical structure searches, including Markush structure searches, and high-level keyword searches, and he is highly skilled at reviewing publications found and analyzing critical scientific data for use in consultation and litigation. Dr. Jones received a Bachelor of Science degree in Chemistry from Furman University in 2002. He completed a Ph.D. in Chemistry from Northwestern University in 2007. 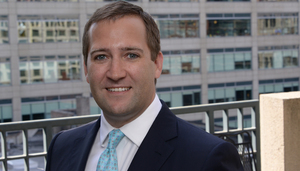 Prior to joining Rakoczy Molino Mazzochi Siwik LLP, Dr. Jones held a position as a graduate research assistant at Northwestern University in the laboratories of Professors Tobin J. Marks and Michael R. Wasielewski. His work included synthesizing and characterizing electron deficient small molecule organic materials. Jones, B.A. ; Facchetti, A.; Wasielewski, M.R. ; Marks, T.J., Effects of Arylene Diimide Thin Film Growth Conditions on n-Channel OFET Performance, Adv. Functional Mater. 2008 18, 1329-1339. Jones, B.A. ; Facchetti, A.; Wasielewski, M.R. ; Marks, T.J. Tuning Orbital Energetics in n-Type Arylene Diimide Semiconductors. Insight Into Materials Design for Ambient Stability of n-Type Charge Transport. J. Am. Chem. Soc. 2007, 129, 15259-25278. Jones, B.A. ; Facchetti, A.; Marks, T.J.; Wasielewski, M.R. Air-stable n-Type Cyanonaphthalene Diimide Semiconductors for Flexible, Optically Transparent Organic Field-Effect Transistors. Chem. Mater. 2007, 19, 2703-2705. Jones, B.A. ; Ahrens, M.J.; Yoon, M.-H.; Facchetti, A.; Marks, T.J.; Wasielewski M.R. High Mobility Air-Stable n-Type Semiconductors with Processing Versatility: Dicyanoperylene-3,4:9,10-bis(dicarboximides). Angew. Chem. Intl. Ed. 2004, 43, 6363-6366. Yoo, B.; Jones, B.A. ; Basu, D.; Fine, D.; Jung, T.; Mohapatra, S.; Facchetti, A.; Dimmler, K.; Wasielewski, M.R. ; Marks, T.J.; Dodabalapur, A. Organic Complementary Circuits Using Solution-Processed Semiconductors. Adv. Mater. 2007, 19, 4028-4032. Yoo, B.; Jung, T.; Basu, D.; Jones, B.A. ; Facchetti, A.; Wasielewski, M.R. ; Marks, T.J.; Dodabalapur, A. High-Mobility Bottom-Contact n-Channel Organic Transistors and Their Use in Complementary Ring Oscillators. Appl. Phys. Lett. 2006, 88, 082104. Chernick, E.T. ; Mi, Q.; Kelley, R.F. ; Weiss, E.A. ; Jones, B.A. ; Marks, T. J.; Ratner, M.A. ; Wasielewski, M.R. Radical Pair Recombination Induced Spin Polarization in a Nitronyl Nitroxide Radical Bridging a Donor-Chromophore-Acceptor Molecule. J. Am. Chem. Soc. 2006, 128, 4356-4364. Jung, T.; Yoo, B.; Wang, L.; Jones, B.A. ; Facchetti, A.; Wasielewski, M.R. ; Marks, T.J.; Dodabalapur, A. Nanoscale n-Channel and Ambipolar Organic Field-Effect Transistors. Appl. Phys. Lett. 2006, 88, 183102. Yoo, B; Madgavkar, A.; Jones, B.A. ; Nadkarni, S.; Facchetti, A.; Dimmler, K.; Wasielewski, M.; Marks, T.; Dodabalapur, A. Organic Complementary Flip-Flops Using Perylene Diimides and Pentacene. IEEE Electron Dev. Lett. 2006, 27, 737-739. Sinks, L.E. ; Rybtchinski, B.; Iiumura, M.; Jones, B.A. ; Goshe, A.J. ; Zuo, X.; Tiede, D.M. ; Li, X.; Wasielewski, M.R. Self-assembly of Photofunctional Cylindrical Nanostructures Based on Perylene-3,4:9,10-bis(dicarboximide). Chem. Mater. 2005 17, 6295-6303. Ahrens, M.J.; Sinks, L.E. ; Rybtchinski, B.; Liu, W.; Jones, B.A. ; Giaimo, J.M. ; Gusev, A.V. ; Tiede, A.J. ; Wasielewski, M.R. Self-Assembly of Supramolecular Ligh-Harvesting Arrays from Covalent Multi-Chromophore Perylene-3,4:9,10-bis(dicarboximide) Building Blocks. J. Am. Chem. Soc. 2004 126, 8284-8294. Jones B.A. ; Facchetti, A.; Marks, T.J.; Wasielewski, M.R. Electronic Properties and Environmental Stability in Core-Substituted Rylene Imide Semiconductors. Presented at the American Chemical Society 223rd National Meeting and Exposition, Organic Division, Chicago, IL. March, 2007.
n-type Semiconductor and Related Devices. Marks, T.J., Wasielewski, M.R., Facchetti, A., Ahrens, M.J., Jones, B.A., Yoon, M.-H. U.S. Patent No. 7,982,039. Perylene n-type Semiconductors and Related Devices. Marks, T.J., Wasielewski, M.R., Facchetti, A., Ahrens, M.J., Jones, B.A., Yoon, M.-H. U.S. Patent No. 7,671,202. Naphthalene-based Semiconductor Materials and Methods of Preparing and Use Thereof. Marks, T.J., Wasielewski, M.R., Facchetti, A., Jones, B.A. U.S. Patent No. 7,569,693.